Jacqui and Howard got married at Kings Norton Church on a very wet September day. We had a fantastic day despite the weather and I love how the photos have come out. 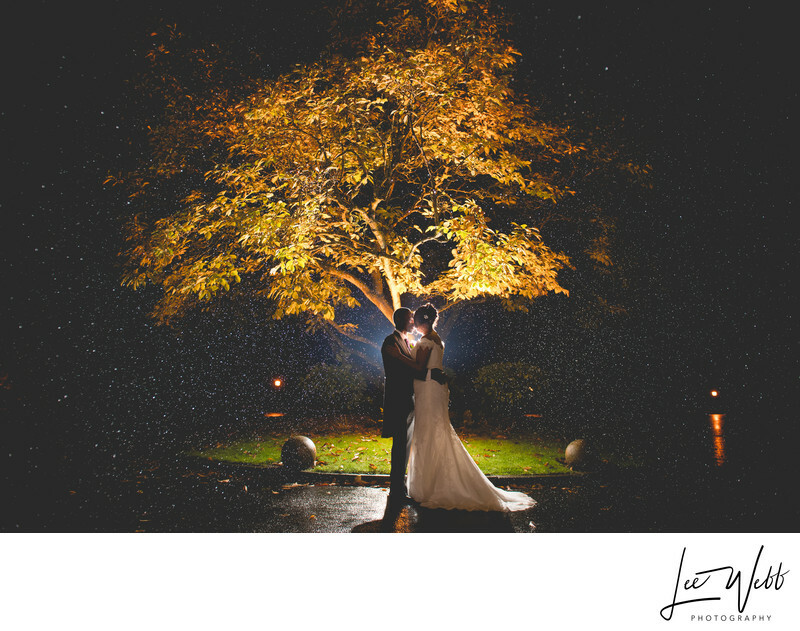 What I love more is how Jacqui and Howard were willing to embrace the weather for their wedding photos! The rain was torrential during the church service, and it was simply too wet to take any photos outside the church. The combination of rain and strong winds meant that for quite some time, the rain was coming down sideways. 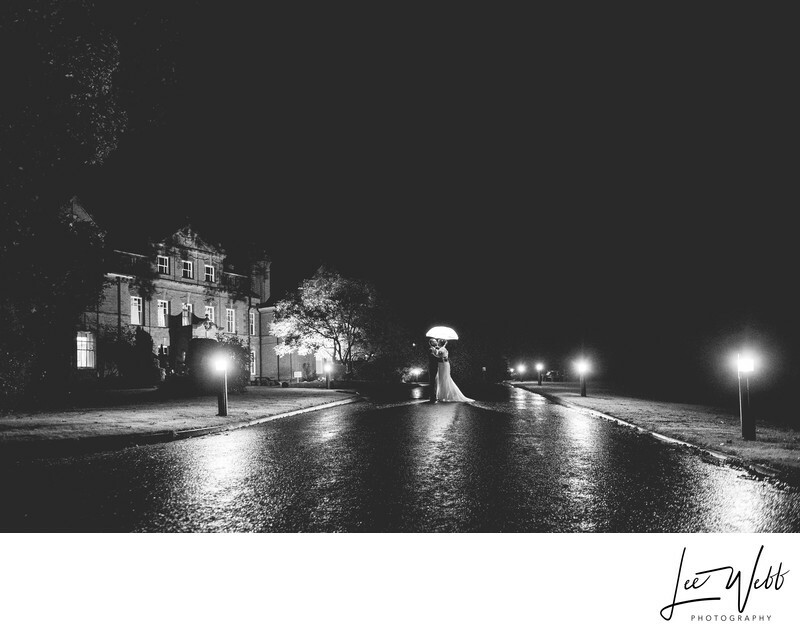 During the wedding reception at Kings Norton Golf Club, the rain started to subside but didn't disappear completely. We made the decision to keep the guests inside and take the formal photos using my lighting equipment, which made for some stunning images. The bride and groom were absolute stars though and really wanted some photos taken outside, despite the weather! The temptation is sometimes there to hide rain in wedding photos - It's easily done as modern cameras don't tend to pick up the rain drops all that well. That's not my style however - I like to show things exactly as they were on the wedding day itself. In all of these photos, I used an off-camera flash to show the full extent of the rain, in a technique that's often referred to as 'strobist' wedding photography. 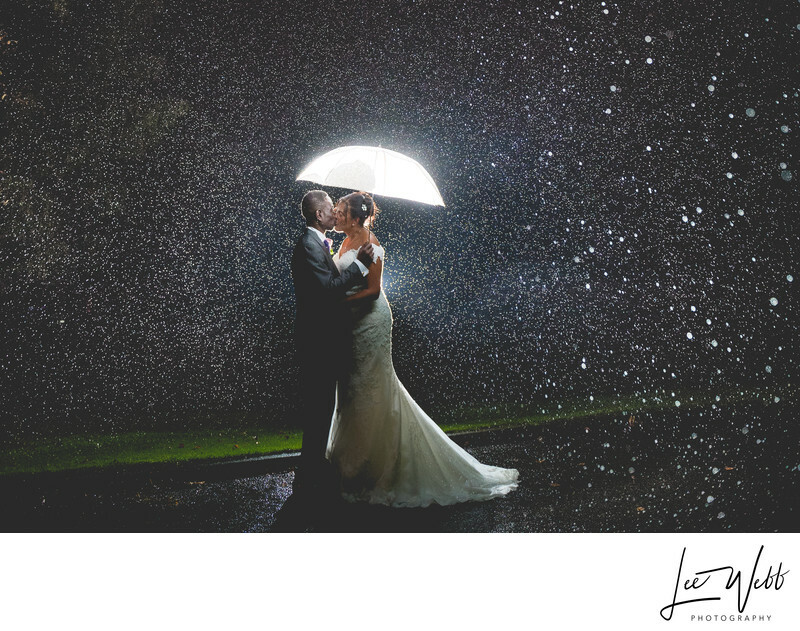 The use of an umbrella both shields the bride and groom from the rain and helps light the couple - so it's win-win! Location: Kings Norton Golf Club, Kings Norton.